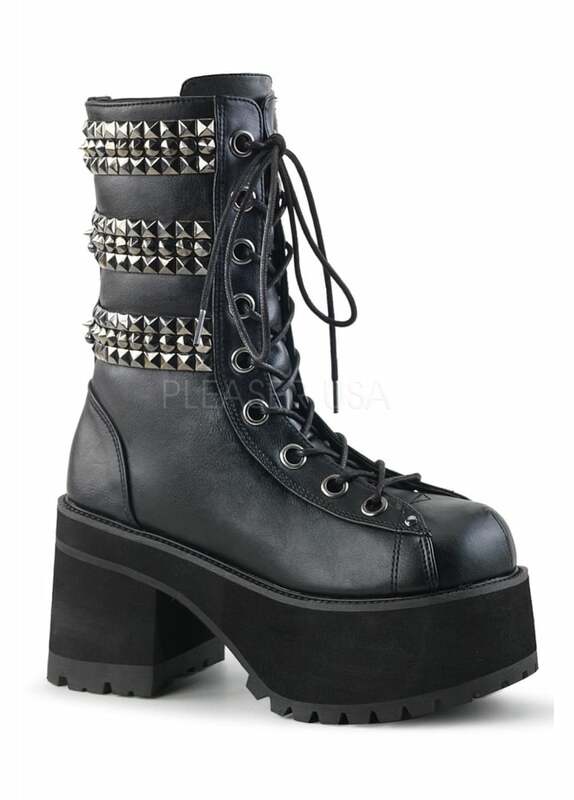 Stomp around in Demonia's Ranger 305 Platform Boot. These gothic ankle boots have a lace up front and inside zip. The alternative boots feature triple studded straps, pyramid studs and horseshoe rings at the back and a platform sole.